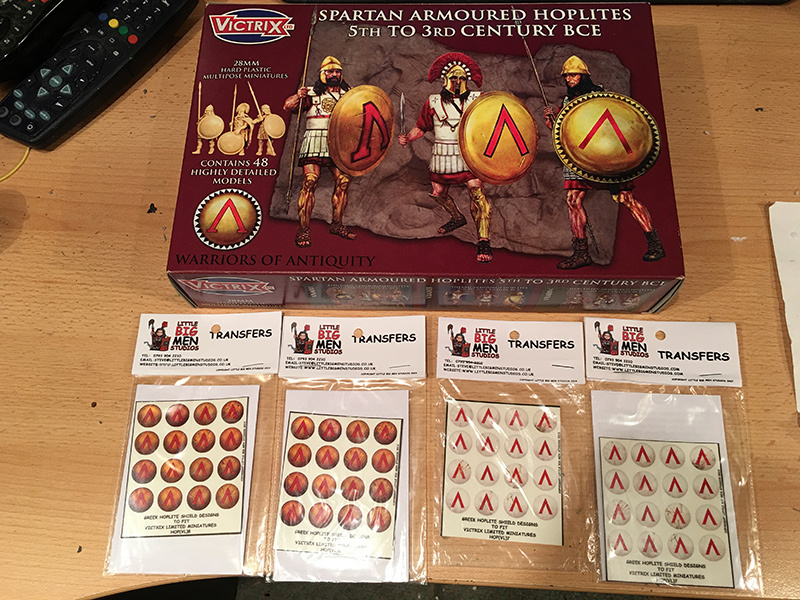 Having only this week built the box of 48 Spartan Hoplites by Victrix, I found myself on Ebay perusing the 28mm ancients. I ordered a box of “Warriors of Carthage”, 62 figures representing Hannibal’s veterans, Libyan spearmen and Libyan javelin men. These boxes really do represent good value for money at around £28 a box. 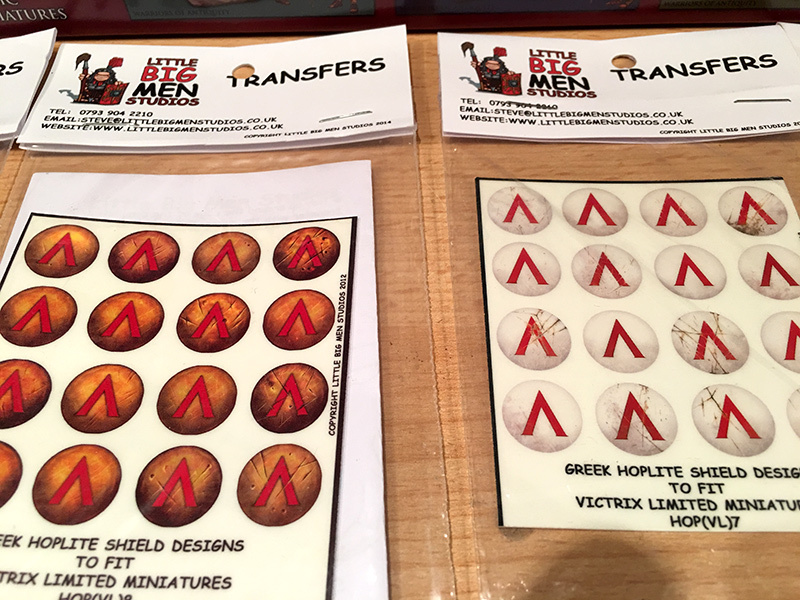 I also saw a box of Spartan Hoplites for £24.99 but it included four packs of shield decals from Little Big Men. I ordered them and they arrived today. Talk about good value for money; the Spartans came in at the standard £25, albeit they were on sale for £20 plus £4.99 postage, so they were an equivalent price to those available elsewhere, but the decals are £3.50 each on the Victrix website so I got an additional £14’s worth of decals and the Spartans for the same price as the Spartans alone – bargain!